My Son Micheal Burnett lives and works in Nome, Alaska, USA. 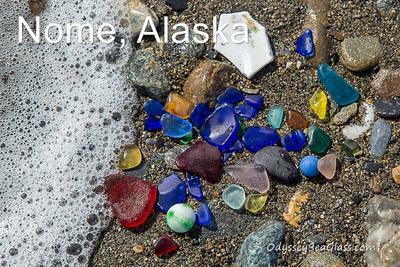 These pictures of sea glass were taken on the Bering Sea. These are pictures of his latest collection. 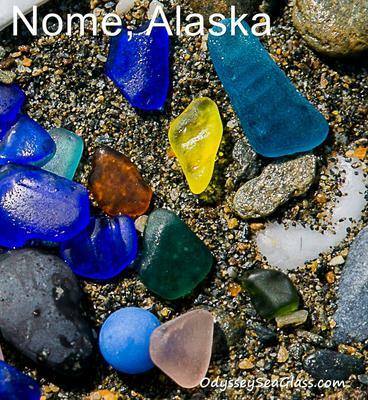 Since I am now a sea glass follower I wanted you to add Nome, Alaska to your collection. What a nice selection of rare sea glass. We love the Red, pink, turquoise, and great yellow! Thanks for sharing, Ronald and Michael.